Energy Efficient Homes Design & Construction Pty Ltd is a Building Design Company with over 30 years experience in beautiful home design that prides itself on service and quality. Energy Efficient Homes Design & Construction Pty Ltd is dedicated to innovative design and construction. We are experienced in designing quality homes using energy efficient ideas that will help to both retain and increase their value in the future. Our special design features include using natural elements to the greatest advantage, while still creating attractive and functional homes to suit your needs both now and in the future. Energy Efficient Homes Design & Construction Pty Ltd works in conjunction with Splendour Interiors, who are committed to offer excellence in design and an effortless transition into your uniquely designed home to suit your lifestyle. 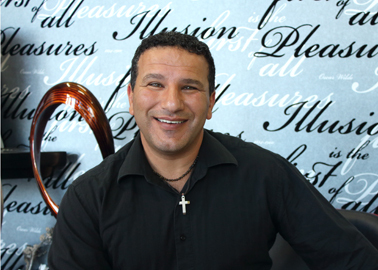 Jack Estephan has over 30 years experience in beautiful Home design, and graduated from The University of NSW in 1988 in Architecture with Honors; he prides himself on delivering service and quality. Jack is also a very well renowned Building and Pest inspector with over 20 years experience in this field and works all over the Sydney metropolitan area and also travels as far as the central coast, Sutherland Shire, Southern Highlands and Blue Mountains. Jack has built a reputation in the building and Design industry as being one of the most sought after Building Designers and Building Inspectors in Sydney. Jack will assist in site selection according to lifestyle requirements, designing your home around the site and aspect specifically chosen. Jack will work with your individual taste and integrate it with the streetscape to create a home of true Splendour. Jack has designed some of the most beautiful homes around Sydney and continues to do so. One of Jack’s famous mottos is “it costs exactly the same amount of money to build a beautifully designed home to a poorly designed home of similar materials, it is just getting the design concept right from the beginning”. Jack has never designed the same home twice as every site is unique and everyone’s life style is as individual as they are.